Health & Fitness Can eating the right food help increase my metabolism? When you go for a long run or bike ride, for example, your muscles break down their stored glycogen (carbohydrate) into glucose that’s then used to fuel muscle cells. Q: I’m trying to lose weight. Can I help my diet along by eating certain foods or taking a supplement that boosts my metabolism? The claims are enticing. Metabolism-boosting foods that speed up weight loss. Ten easy ways to rev up your metabolism. And on it goes. When it comes to losing weight, the term metabolism is often misunderstood. Here’s what you need to know about how your metabolism works – and what can and can’t influence it. Metabolism refers to all of the biochemical processes that convert food into energy the body needs to stay alive. It includes the series of chemical reactions that build new tissues, store energy and maintain body tissues. For instance, your body uses amino acids from protein in foods to build muscle, enzymes and hormones. Metabolism also includes processes that break down body tissues into usable energy. 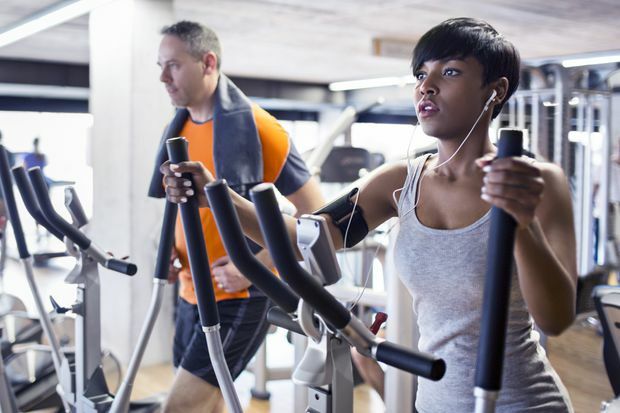 When you go for a long run or bike ride, for example, your muscles break down their stored glycogen (carbohydrate) into glucose that’s then used to fuel muscle cells. Resting metabolic rate is a measure of how many calories your body burns while doing nothing. It’s the number of calories needed to maintain internal functions such as circulating blood, breathing and repairing cells. Age, genetics, body size and body composition cause variation in resting metabolic rate between individuals. The amount of muscle you have is the biggest contributor to your resting metabolism. Can foods and/or supplements speed metabolism and/or weight loss? There’s plenty of hype around “metabolism-boosting” foods and supplements. While some may do so a little, the magnitude of the effect is slight and lasts only as long as you take the product. Studies have found that capsaicin, the ingredient in chili peppers that gives them heat, influences metabolic rate. But you’d have to wait a while to see results. A 2012 review of studies concluded that capsaicin increased calorie-burning by 50 calories a day, an amount that would take one to two years to result in noticeable weight loss. Plus, most studies have used research-grade capsaicin, not natural food sources. Consuming adequate protein can enhance the muscle-sparing effects of resistance training. To maintain muscle, consume at least 1.2 g protein per kg body weight each day from foods such as lean meat, chicken, fish, eggs, yogurt, milk, soy or pea beverages, tofu, beans and lentils and nuts. Green tea contains an antioxidant called EGCG (epigallocatechin gallate), which lab studies suggest increases calorie- and fat-burning. Yet evidence that drinking green tea or taking green tea extract promotes weight loss is conflicting. Studies that did show benefit used products containing a specific concentration of EGCG combined with caffeine. Even then, average weight loss after 12 weeks was only one to two pounds greater than the control group. Chromium, a mineral involved in carbohydrate and fat metabolism, is often said to increase fat-burning. However, controlled studies of chromium supplements have failed to find any beneficial effect on weight or fat loss. CLA (conjugated linoleic acid) is another supplement. While research suggests that CLA may have a modest effect on reducing body fat in overweight people, there’s inconsistent evidence whether it causes weight loss. There are a few important things you can do, though, to support a healthy metabolism while losing weight. For starters, don’t follow a very low-calorie diet. Drastically cutting calories to 1,000 or fewer a day can cause your resting metabolic rate to slow down. When your body thinks there’s a shortage of food, it responds by conserving energy. Plus, you’ll lose muscle, which also slows your resting metabolism. In general, a safe daily calorie intake for weight loss is 1,400 to 1,600 calories for women and 1,900 to 2,100 for men. Factors such as age, current weight, activity level and health considerations will influence how many calories is right for you. Add resistance training to your weight-loss program (e.g., free weights, weight machines, resistance bands, whole-body exercises). Many studies have demonstrated the ability of resistance exercise to prevent the muscle loss that typically occurs with dieting. Eat enough protein, too. Consuming adequate protein can enhance the muscle-sparing effects of resistance training. 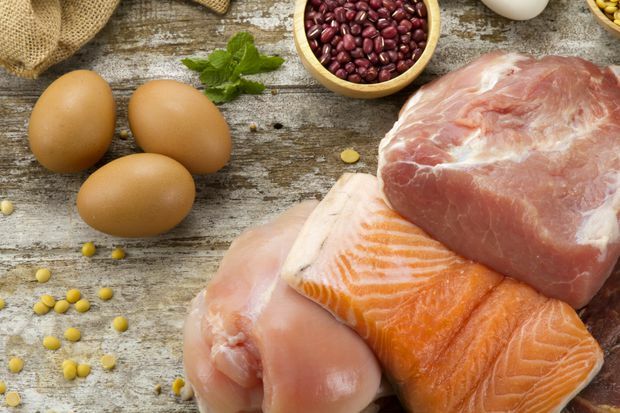 To maintain muscle, consume at least 1.2 gram of protein for every kilogram of body weight each day from foods such as lean meat, chicken, fish, eggs, yogurt, milk, soy or pea beverages, tofu, beans and lentils and nuts. Get seven to nine hours of sleep a night. Research suggests that chronic sleep loss can upset hormones that regulate calorie-burning in the body.